I would like to start with the quote of W.J. Cameron “Money never starts an idea; it is always the idea that starts the money.” This is what inspired me throughout the ups and downs of my life. If you are a highly motivated person and ready to walk that extra mileage for the very success of your life, then we can help you reach your goal with so many verified strategies. We want to make you realize that each and everybody like you have the power of taking entrepreneurship. The thing that keeps us encircled in the regular loop of life is that we don’t explore our potential in full swing. Today we are going to discuss on the opportunities of making money online with your graphics works. If you can consider yourself as a professional graphics designer, then it’s time to explore more that you can do for yourself without keeping yourself confined with your local clients or bosses. We are going to introduce you with some of the coolest and world class graphics designing platforms that can open a new window opportunity for you and also can increase your passive income overnight. Things work so fast online and you will get simply amazed to see the results. You can start your journey of making money online as a graphics designer with zazzle.com. It’s a Silicon Valley company that invites you to submit your graphics work to be printed on lots of products like t-shirts, coffee mugs, iPhone or iPad Case, Bags, Wristlets, Greeting Cards, Postage, Clocks and many more. You can sign up for free and can put your graphics work on any one of these products. When someone orders any product that has your design works imprinted over it, you will receive commission of 20-60% from that particular sale. 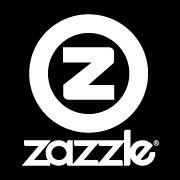 Zazzle.com gives you the opportunity of creating your own online store and you can invite people from around the world to visit your online store at zazzle.com. Cool stuff, isn’t it? 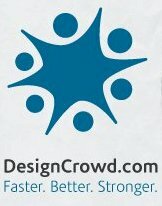 Next I would like to introduce you with Design Crowd; an online crowd sourcing platform for professional graphics designer. Here clients and big companies from around the world post projects to feed up their graphics requirements. Professional Graphics designer just like you submit their custom design works in order to get feedback and responses from people related with that particular project. Here client has the right to choose the design that he/she prefers most. The design selected by the client receives the highest pay. All the others who submitted their own custom design works are added with their respective portfolio works which they can use later for future projects. It’s a win-win opportunity both for the clients and the contractors.